First, it’s important to understand that Boomers are not technophobes. They may not have grown up with the rise of the Internet like Millennials or been born into the land of Wi-Fi like Gen Zers, but this generation of Americans is, in fact, getting online – and they’re doing it at an increasingly rapid rate. 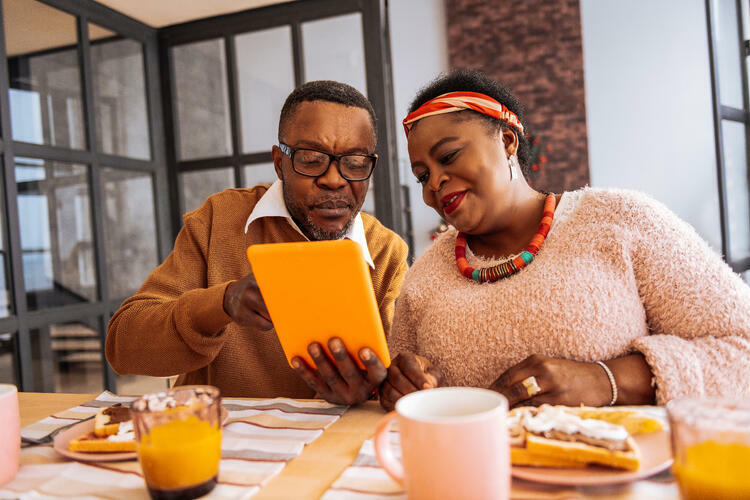 Sixty-six percent of Americans ages 65 and older used the Internet in 2018, a figure that’s more than quadrupled since 2000. Seventy-one percent of Boomers bank online once a week or more, and at least 40% regularly use a mobile banking app, which means creating a seamless online and mobile experience for everyday financial needs should be a priority for your institution. Make sure your systems are intuitive, match your mobile and online services, consider increasing font sizes, and keep notifications simple and clear. Another avenue for engaging with Boomers is perhaps a more obvious one: offering retirement support. Sixteen percent of Baby Boomer respondents to a Schwab Retirement Services survey say they expect to work during retirement because they think they’ll need the money. Thirty-six percent don’t know how much they need to save for retirement and 20% don’t know how to get the money out of their plans. Providing resources for continued retirement planning and asset management is a key opportunity for your institution to connect with this generation. Offering retirement support. You can proactively offer wealth management resources or have retirement experts on-site. Prioritizing a streamlined, mobile-optimized experience that’s easy to use. As more Boomers leave the workplace and lose the everyday connection to emerging technologies, it’s essential to keep systems simple. Offering cash-back programs. Gen Zers may be used to points-based rewards systems, but Boomers aren’t. Sixty percent of Boomers participate in cash-back credit card rewards programs, with a mere 36% participating in points programs. Connecting them with the right products and services for their evolving financial needs. On top of retirement support, Boomers are looking for wealth management, wealth transfer, housing finance, parental financial security. As you start planning your digital transformation strategy, don’t make the mistake of overlooking the very lucrative Baby Boomer generation. Helping these customers adapt to your digital culture could mean big things to your bottom line. Pew Research Center: Defining generations: Where Millennials end and Generation Z begins. January 17, 2019. Gonnella, Lauren. Credit Union Journal: Millennials are the future, but CUs shouldn’t write off baby boomers. July 20, 2017. Kamat, Chet. American Banker: Don’t forget baby boomers in the race to go digital. August 22, 2018. Sullivan, Joe. The Financial Brand: How Banks Can Better Connect With Boomers. Pew Research Center: Internet/Broadband Fact Sheet. February 5, 2018. Ray, Julie. Yu, Daniela. Gallup: Baby Boomers Put More Money Than Trust in Banks. 2014. Satter, Marlene. Credit Union Times: After 20 Years in 401(k)s, How Are Boomers Doing? October 18, 2018. Callahan & Associates: The Credit Union Guide to Baby Boomers.